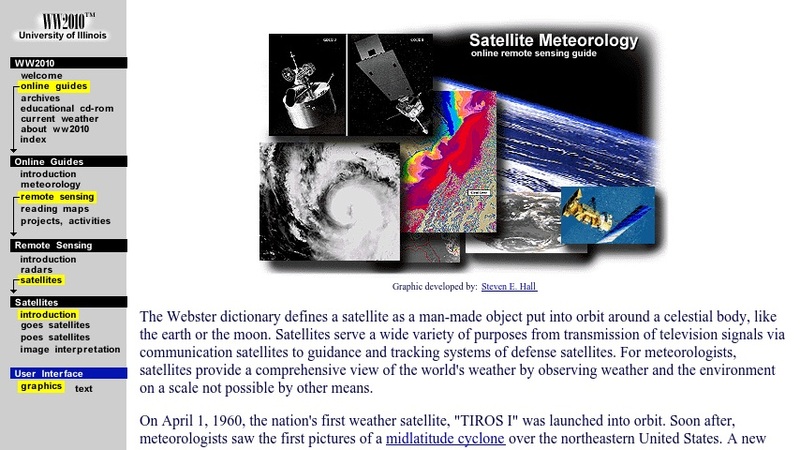 This guide presents introductory information about satellites and remote sensing and their uses in meteorological observations and forecasting. Topics include geostationary and polar orbiting satellites, orbital coverage, architecture, instruments, and the types of data they produce. A tutorial on interpreting satellite images is also included.